North Creek — Kobey Development Inc.
Arguably the premier condominium development in Cherry Creek. Most units were purchased as a shell, each owner completing their units with personally selected architects and builders. The owners chose Semple Brown Design to create their contemporary apartment and Kobey Development to complete the construction. 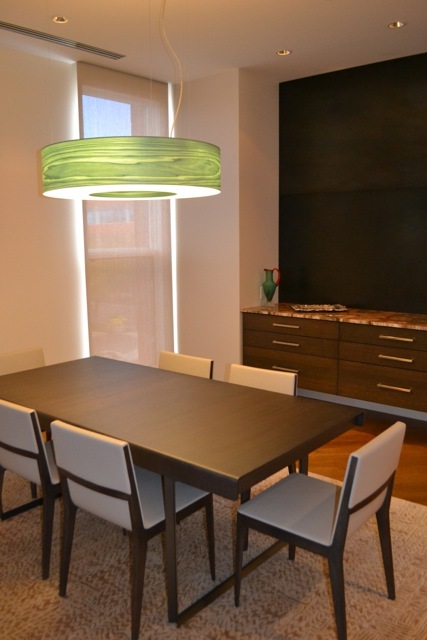 Beautiful and unusual materials were chosen and the stone work is elaborate creating a warm but modern interior in the urban heart of Cherry Creek.